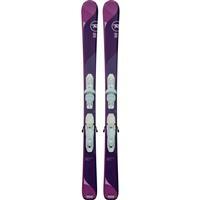 The Rossignol Temptation Pro is a great ski for any growing young lady. Rossignol's Auto Turn Rocker has a rockered tip and tail that allow you to drift and skid into and out of turns with little effort if she is learning how to parallel turn. Auto Turn Rocker also requires less effort to push out a snowplow. 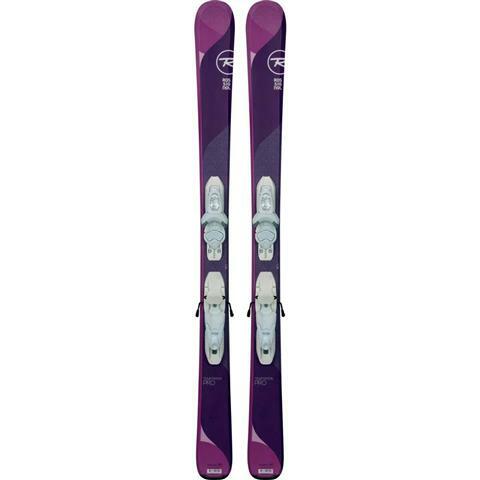 A Composite Core and the Rossitop Cap Construction are very forgiving and easy for the lightweight new skier to have control and improve with ease.